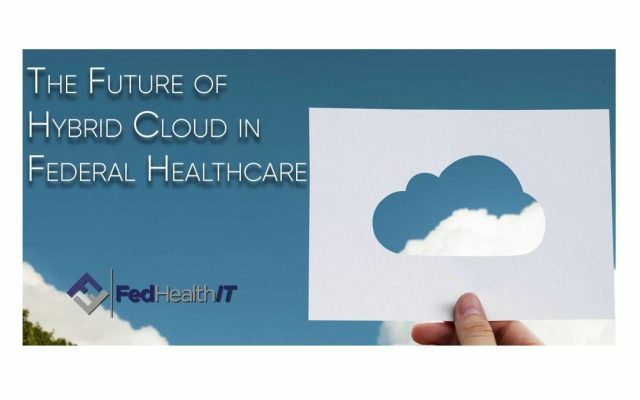 Following up on the recent Hybrid Cloud event, sponsored by Red Hat, FedHealthIT’s Executive Vice President, Susan Sharer had the opportunity to speak with Atif Chaughtai, Chief Technologist of NA Healthcare at Red Hat, reflecting back on some of the key takeaways from the event. At its most fundamental level, hybrid cloud involves a combination of data that resides on premise and in the cloud. hybrid will become a reality for most Government customers working with a combination of legacy applications that won’t be modernized and more modern applications that will be developed on the cloud for the capabilities and opportunities there. The hybrid environment creates a symbiotic relationship between on-premise and cloud data. There are many opportunities in public and private sector. In the public sector, I’ve seen Healthcare go through value transformation, driven by reducing operating costs, reducing inefficiencies and finding better value for customers using hybrid cloud as a strategy. Another use case is where you might have an open enrollment period that will require large amounts of interaction with the system and a need for higher capacity for that period of time. DevOps is another good example of how a hybrid cloud environment can give businesses savvy push button deployment to stand up new capabilities quickly. Do you Ever see the Workload Coming Back on Premise? There are certainly some trends on the commercial side where people are exiting the cloud and coming back on premise. With the initial advent of the cloud, many organizations jumped in with both feet and then realized over time that they were not able to get the ROI they had estimated. The traditional investment in a data center, that they had already made, could work more cost effectively. Traditional applications have strong dependencies on data being available ie. applications have a strict dependency on the data to function with request/reply model. Being in the cloud, that data might not be instantaneously available to support request/reply design patterns. These types of architectures don’t work well in the hybrid cloud especially for a high transactional system. To succeed in the hybrid cloud architecture, and take advantage of its benefits, applications need to be modernized by breaking the capabilities in individual business services that leverage a micro-services architecture design pattern. The challenge is that cloud by its nature doesn’t follow the same security model of on premise data center. Security controls such as authentication, authorization and identity management need to work in a hybrid cloud architecture. To integrate hybrid cloud security protocols, there are two options: Either replicate controls in both clouds and keep security data synchronized or use an identity management service that provides a single service to systems running in public and private cloud. Similarly, maintaining and demonstrating compliance can be more difficult with a hybrid cloud. Not only do you have to ensure that your public cloud provider and private cloud are in compliance, but you also must demonstrate that the means of coordination between the two clouds is compliant. For data sharing between the two cloud, you’ll need to ensure that private data is not transferred from a compliant database on a private cloud to a less secure storage system in a public cloud. The methods you use to prevent a leak on an internal system may not directly translate to a public cloud. What is Meant by Lift and Shift, Monolith to Micro Services? In order to take advantage of economies of scale (to reduce operating and cap-ex cost) offered by cloud, the idea is to take the application as is and deploy it in the cloud hence the term lift and shift. This allows organizations to take advantages of efficiencies delivered by the public cloud. Typically, these applications have strong dependencies on its inner part such that they are not divisible. These are known as monolith applications. 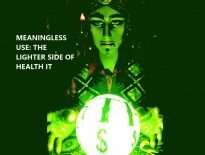 Monoliths by its design make it difficult to add new capabilities or modification of existing as it requires considerable effort to ensure no side effects have been introduced by the change. In order to be more agile to business needs and requirements, the idea is to break the application into smaller parts, following microservices architecture. Microservices architecture enables organization to iterate and add new features and capabilities quickly and deliver agility to business applications. Infrastructure automation is the process of scripting environments — from installing an operating system, installing and configuring servers on instances, configuring how the instances and software communicate with one another and much more. Application automation is a process through which an application can be dynamically provisioned and moved around to support the hybrid cloud architecture. Both of these types of automation are essential to operationalizing the hybrid cloud architecture. Containers are a solution to get software to run reliably when moved from one computing environment to another. Containers allow us to package an application in such a way that all dependencies and configurations are included. This is commonly referred to as encapsulation. Containers are essentially isolated Linux processes that are running on the underlying operating system, without an OS running separately in the container. Containers are immutable and because they provide encapsulation they are portable from one infrastructure to another. Because of this key capability, containers are essential ingredients to hybrid world as they allow you to run your application on private or public cloud. Red Hat has been working with customers on their journey to hybrid world leveraging industry leading technology for automation and containers management. How is it All Managed? Management across public and private cloud can be challenging. This topic is further complicated when vendors use various definitions. You need people to understand this new paradigm so they can leverage the tools to effectively manage. However, as this topic is still relatively new, the skill set in industry is still maturing. For that reason, part of our work at Red Hat is educating the IT industry through public speaking, sharing information digitally and hands-on workshops. We assist our customers on a journey of cultural and technical adoption, enabling them to be successful. We also engage with our customers through our Open Innovation Lab which is a residency style engagement to help with adoption of hybrid cloud for specific business outcomes. Atif Chaughtai is the Chief Technologist Healthcare NA Commercial at Red Hat. He brings over 18 years of experience in the field of information technology, focused on Healthcare and Life Sciences. At Red Hat, he passionately works with customers in understanding their needs and aligning them with the Red Hat portfolio. He frequently champions customers emerging requirement and feedback with the product and engineering team at Red Hat. He is active participant on various Healthcare and Life Sciences standard’s committees. 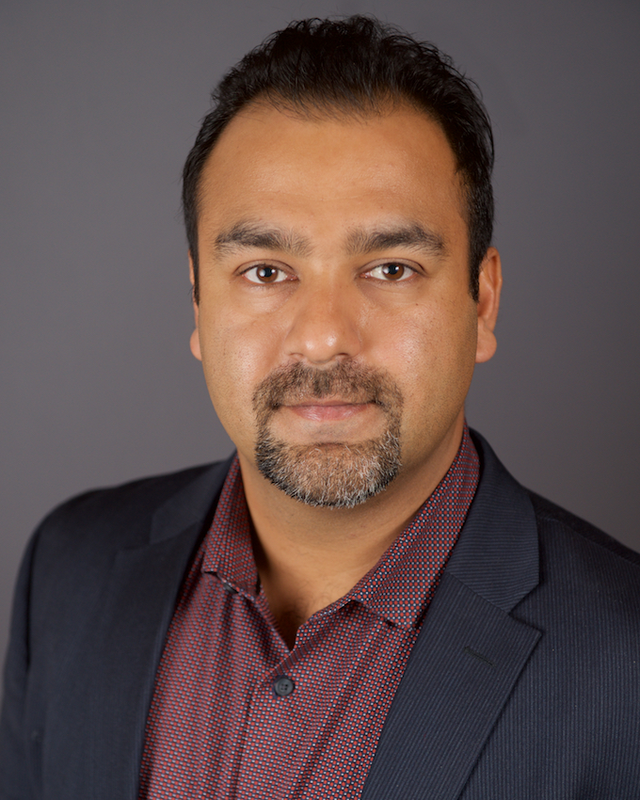 Prior to joining Red Hat, Atif worked at the National Institutes of Health (NIH) as an Enterprise Architect. At NIH, he was tasked with solving some of the most critical challenges including streamlining clinical research programs while ensuring HIPAA compliance. His work was recognized multiple times for it’s contribution to the NIH’s mission.